Education providers and educational counselors who are looking for a new job will require an education resume. 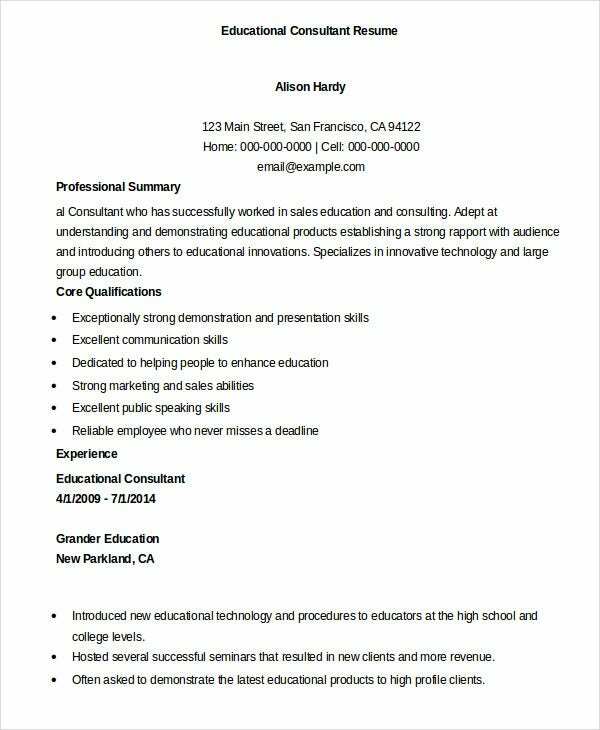 To make it easy for them, we have a wide range of ready to use education resume samples. These resume samples are available in a variety of formats and can be easily edited. 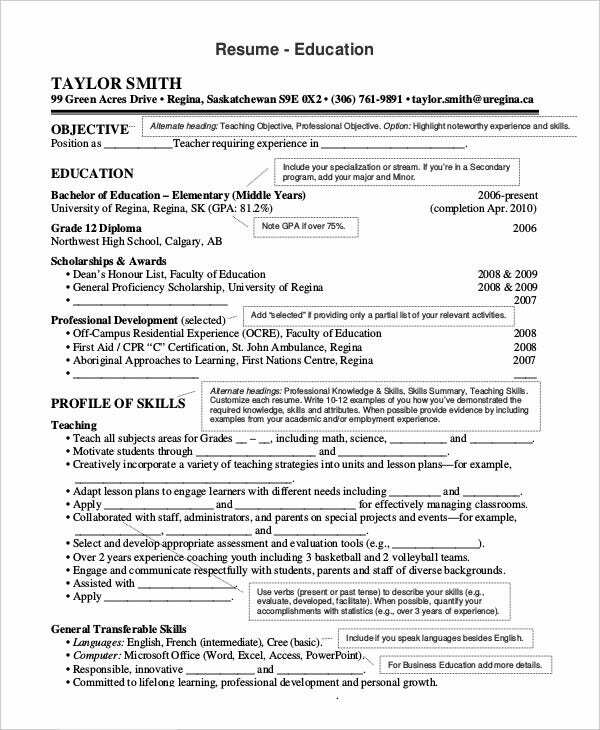 The education resume samples are also printer-friendly and can be emailed too. 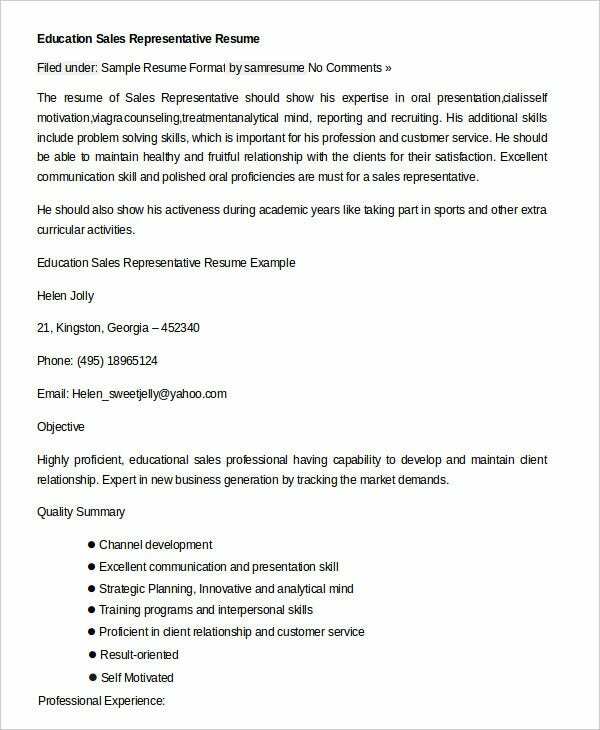 Special education providers, physical education providers, and various others will find these Free Resume Templates extremely useful and handy. 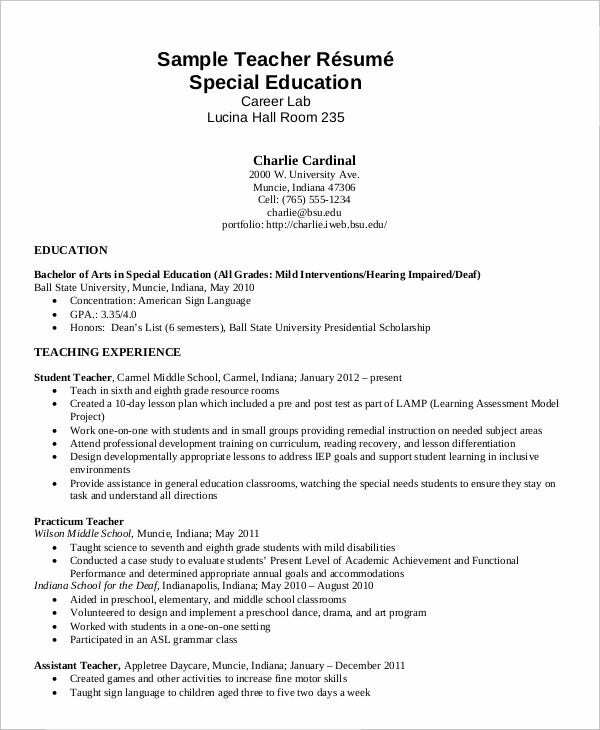 The special education teacher resume is available in PDF format. 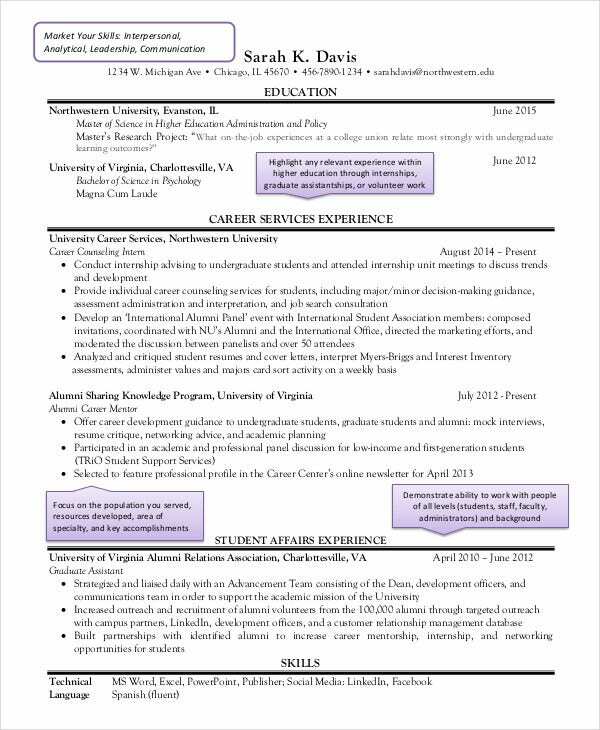 This template has space for the user to fill in details of his work experience, skills, interests, and other information. You may also see Resume Format Templates. 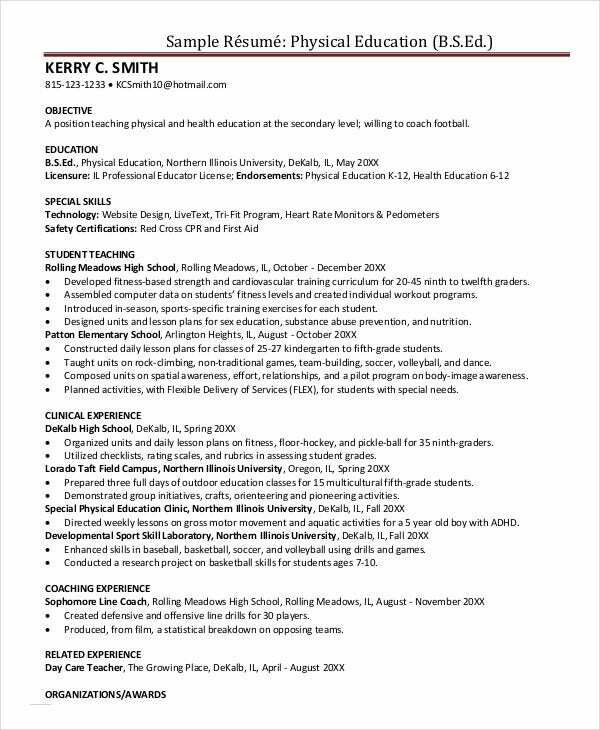 Individuals who are looking to get a job as a physical education teacher can use the physical education resume. This template is available in PDF format. The user can fill in details of his past work experience, skills, awards, and other information. 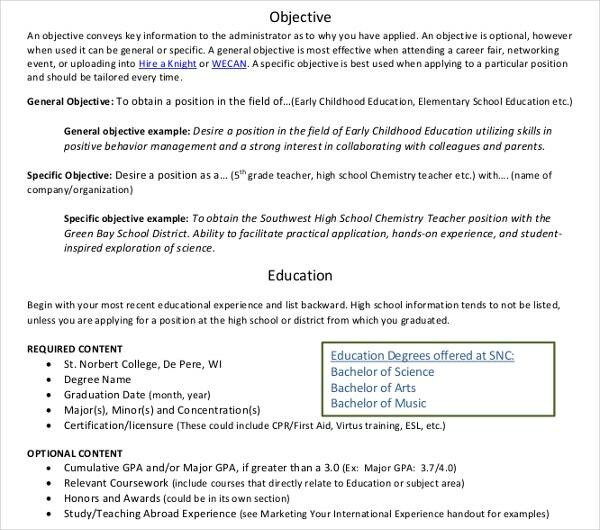 Typically the Teacher Resume Templates, college resumes, and the high school resume samples are best suited for teachers who are looking to apply for new jobs. Physical education teachers, high school teachers, career counselors, psychology professors, literature professors, principals of schools or colleges, deans of educational institutions, history teachers, special education providers, and various others will find this sample resumes extremely useful and handy. So, if you’re looking to apply to a new school or college or even a career-counseling clinic, you will find that these resumes will make the process of job application very simple and easy for you. The higher education resume is available in PDF format. The user can fill in details of his educational qualifications, skills, and other relevant information. This resume sample is ideal for career counselors and college level teachers or professors. You can also see Computer Science Resume Examples. The administration education resume is a heavily detailed PDF file with tips that guide the user on how to draft his or her resume. 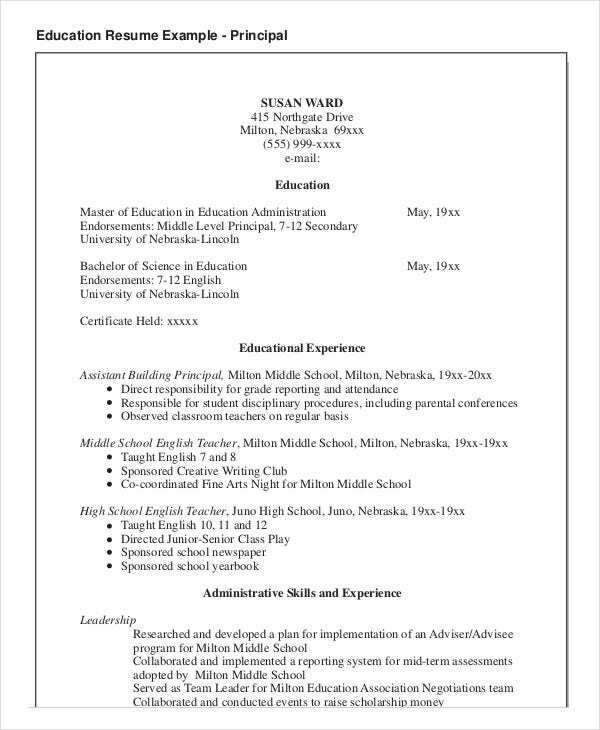 This template will be useful for individuals looking to get a job as a principal of a school, assistant superintendents, and various others. 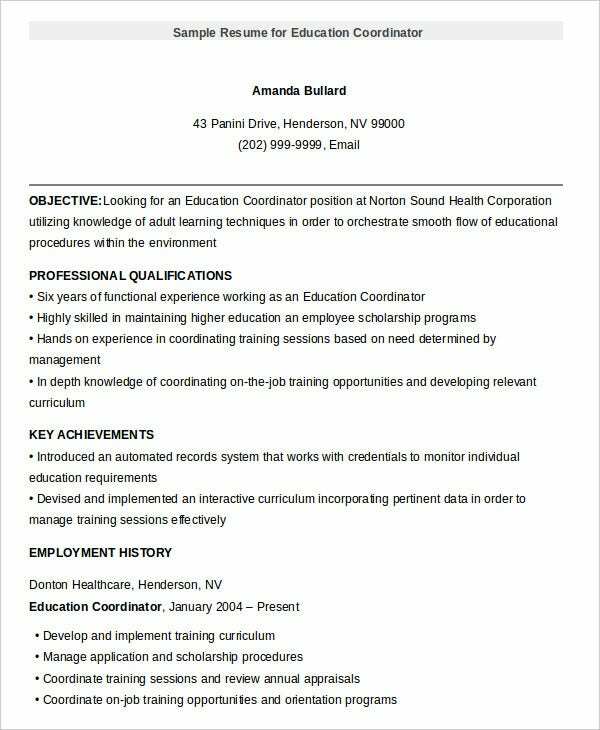 You may also see Preschool Teacher Resume Template. The resume example template is best suited for an individual who is looking to get a job as a school principal. 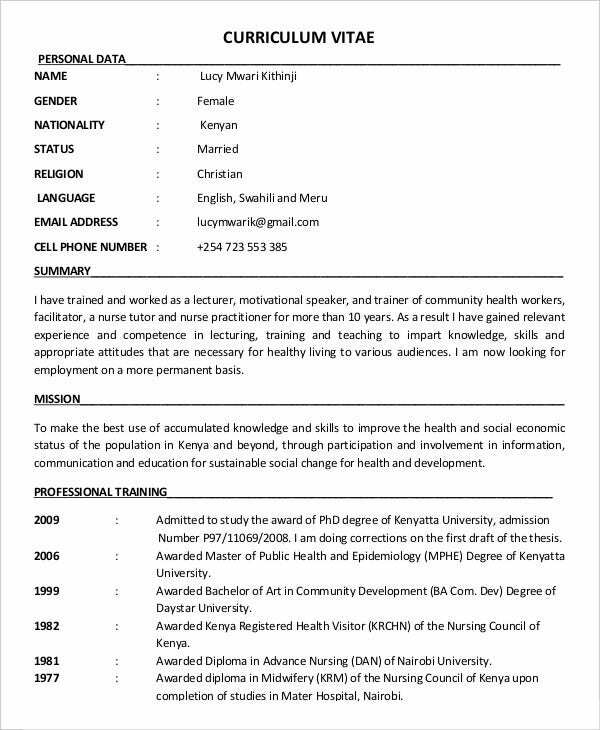 This template has space for the user to fill in details of his administrative skills and experience, special recognition details, and other relevant information. 2. 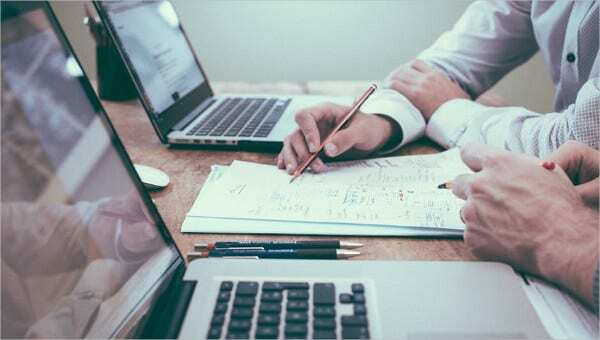 What Are The Benefits of The Education Resume Samples? The education resume samples are beneficial for a variety of reasons. First and foremost, these templates are pre-drafted and ready to use; additionally, they are also absolutely free of cost. The user need not spend money on hiring a professional to draft his resume and neither does he need to waste hours drawing up his resume from scratch. You can also see Mechanical Engineering Resume Templates. Another reason that these templates are useful and beneficial is that of their convenient and universally accepted formats. These templates can be accessed from almost all types of operating systems, including smartphones and tabs. Thus, these resumes are extremely beneficial for the user. 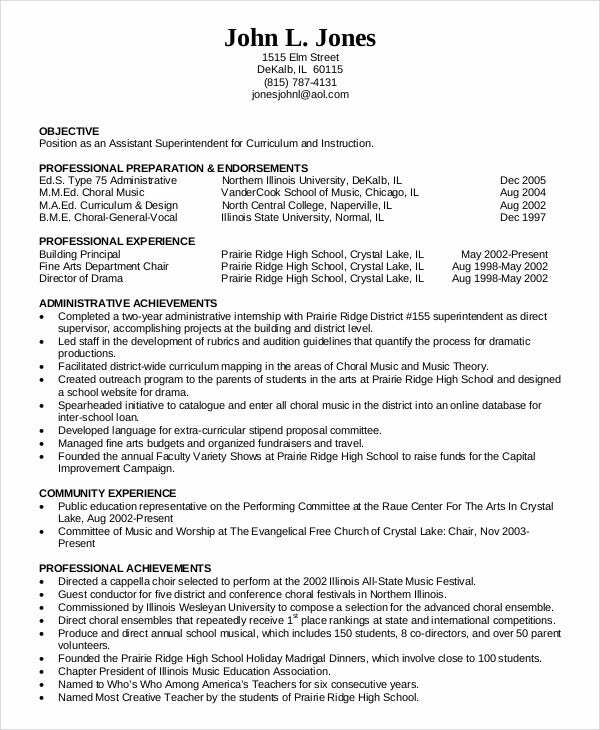 You may also see Education Resume in PDF. So, if you’re looking to apply for a new job as a teacher, you have come to the right place. Select a resume from the above-mentioned list that best fits your specific requirements, downloads it, edit it and print it out or email it. You will find these templates extremely handy. You may also see Basic Resume Templates.